A truly fun space where both children and adults can feel at home. With a slide functioning as one of the entrances to the room, this is definitely the coolest lower levels ever! Equipped with a giant Lite Brite and activities around every corner, there is no shortage of activities to keep the little ones busy. 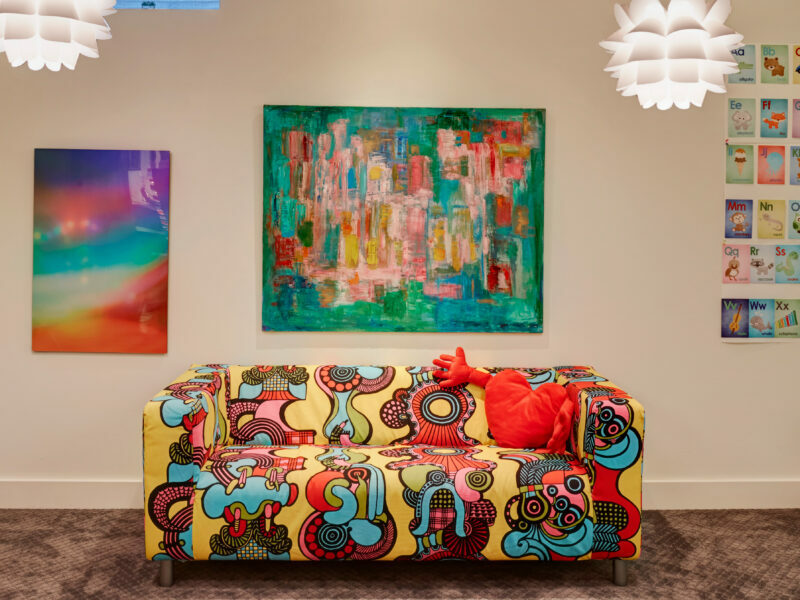 Designed with a youthful approach, this space has a mixture of fun for the kids yet it also showcases the client’s eclectic, colorful and sophisticated style. Exhibiting their extensive art collection was a must not only in the lower level but throughout the home. Both functional with a kitchenette and fun with a creative space for craft projects, this space gives the clients the best of both worlds.